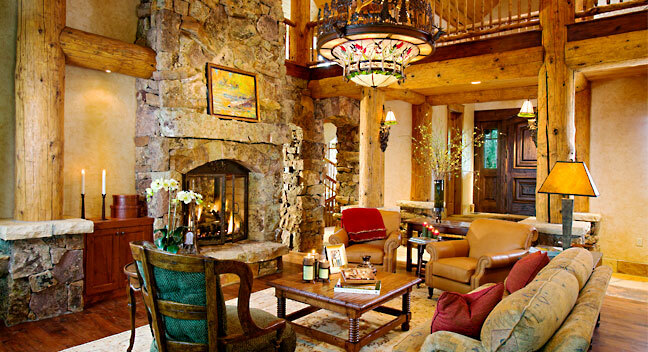 A custom bronze-and-glass chandelier dominates the living room of this mountain residence. 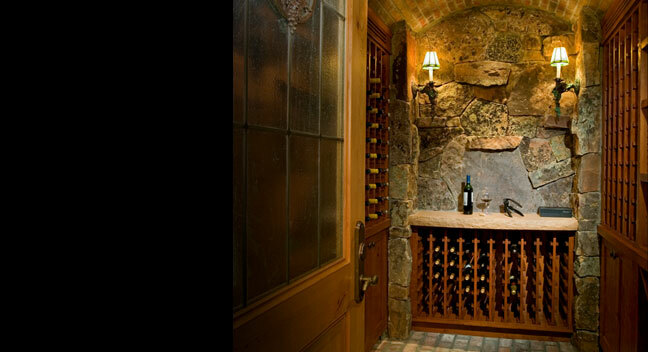 Cherry wine racks, custom-made for this space, provide storage for 500 bottles of wine. 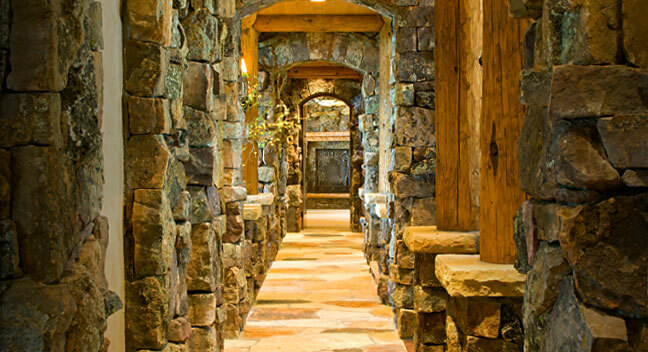 This main "artery" pays homage to local material: moss rock walls and buff sandstone floors. 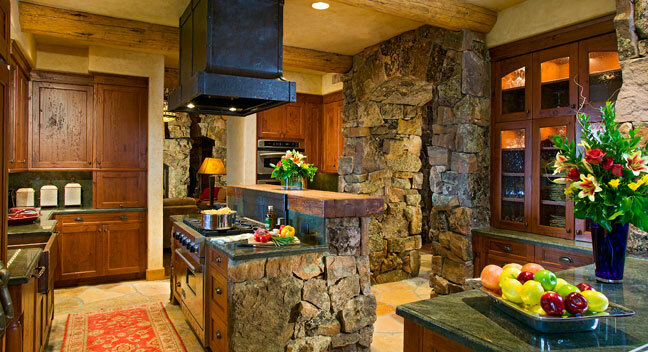 A four-inch- thick piece of tamarack wood is a unique choice for an island's counter. 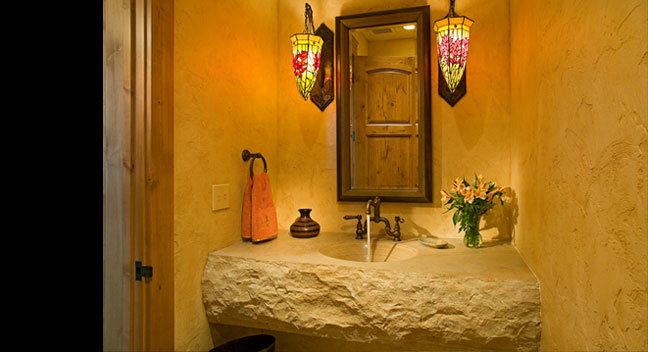 A custom-designed 12- inch- thick sandstone sink appears to float on the guest bathroom wall.